Don’t say we didn’t give you ample warning… They were cool and slightly overcast conditions that greeted US pop star Adam Lambert when he dropped into Melbourne’s Federation Square this afternoon for one of Channel [V]’s infamous Guerilla Gigs. 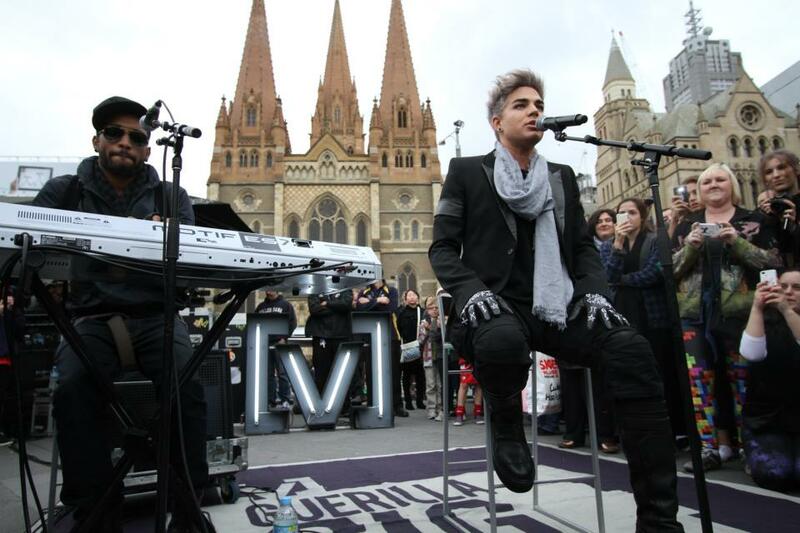 Hundreds of people braved the chilly conditions to see Adam perform an intimate set, including ‘Shady’, ‘Naked Love’ and the title track from his latest album ‘Trespassing’ as well as his hit single ‘Whataya Want From Me’. You can check out more photos from today’s gig at Channel [V]’s OFFICIAL FACEBOOK page and ‘Like’ them for more hints as to who’s next for the Guerilla Gig treatment and where.